The NSDN Daily Race Coverage season continued into September as we traveled to PTN Championship Weekend 2014 at Little Sandy Raceway in Grayson, KY. This was the Season Finale for the PTN series with a full slate of classes to contest and crown champions in. Jim and Gaye Johnson do an incredible job putting on a great event at their wonderful facility in Eastern Kentucky. The Johnson’s are always greatly welcoming to racers and crew that come to their track. They are truly a pleasure to work with and make things easy for NSDN to cover all the action. It was also great to catch up with our friends Gary & Michelle Burrow with Lonestar Graphics as they made the trip from Texas for this one. The Burrow’s do such a great job for the sport and once again supplied us with a batch of great photos from this one. This NSDN Daily Race Coverage was presented by Mid-West Coatings, Inc. and Pro Truck Nationals. NSDN’s Daily Race Coverage season continued on in Mid August with our first trip to the Northwest attending the Sandstorm 2014 event at Albany Sand Drags in Albany, Oregon. It was great to see a huge turnout of racers from Washington and Oregon along with a few long haul travelers from California and Arizona. Kam Mccallister along with Gee Armstrong and the Albany Sand Drags crew did a great job promoting the event drawing in a solid spectator crowd to go along with the great racer turnout. We met a great local photographer in Outlaw Photography that captured some amazing photos from this race. This NSDN Daily Race Coverage was presented by the fine folks that presented Sandstorm 2014. As summer wore on, NSDN’s Daily Race Coverage season continued on to our first ever trip to Newtown Dragway in Newtown, Virginia for PTN’s East Coast Nationals in early August. This was one I had looked forward to all season, and it definitely did not disappoint. This facility is absolutely stunning with incredible detail work to complement the valley setting, hooking track surface, top notch timing equipment, and stadium lighting for night racing. Despite battling the weather all weekend, the Newtown & PTN crews worked hard to put on a great event for all. The racing on track was fierce, and it was great to see many of the East Coast Trucks & ATV racers that we had only read about in the past. These guys are excellent racers. This NSDN Daily Race Coverage was presented by Pro Truck Nationals and Mid-West Coatings, Inc.
Motiva Motor Speedway’s The Dirt 300 in Albuquerque, NM was the site of Race 5 of the 2014 NSDN Daily Race Coverage schedule. The Dirt 300 put on their Third Annual Nitro Nationals with a full slate of classes that featured heavy payouts in Top Eliminator (2.95 Index), Pro Open Cars, and Pro Open Quads. This event in late June once again saw many California, Arizona, and Texas racers make the haul to participate in the best sand drag racing in New Mexico. The temperatures were toasty during the day, but this year’s format saw much of the racing contested in the Evening to make for more comfortable race conditions. This made for a nice weekend of sand drag action. This NSDN Daily Race Coverage event was presented by Motiva Motor Speedway / The Dirt 300. The 2014 NSDN Daily Race Coverage season moved on to Avenal, California in late April for the Avenal Sand Drags Spring Nationals. Over the Off-season, a huge undertaking took place to provide an improved racing surface at the Avenal track. This was a hugely successful project as the combination of new track prep equipment along with the change in Dirt/Sand mix made for one of the best race programs in recent memory. 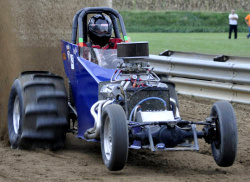 Across the board one of the biggest issues in sand drag racing is the length of time it takes to groom the track. With the new grooming equipment & process, I even got caught off guard on several occasions not being able to finish updates during the grooming downtime. The Avenal Sand Drags crew was on their game all weekend and got done in a timely manner despite a great turnout. 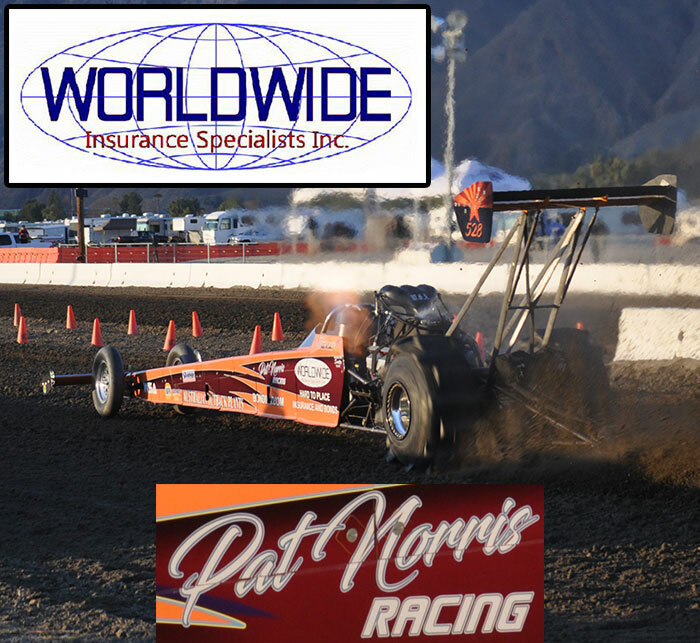 This NSDN Daily Race Coverage was presented by the fine folks at Red Warrior/D’Artenay Motorsports & Avenal Sand Drags. Memorial Day Weekend was the traditional trip for NSDN to head to Atoka, Oklahoma for the Heartland Nationals at Atoka Motorsports Park. This year’s event was the first stop for the 2014 PTN series adding a little extra flair to this event. Outside of the Dome Valley event, this was the closest thing to a National event this season with racers from as far away as Michigan and Arizona making the haul. This was also the first event of the PTN / PSDA partnership bringing more Heads-Up ATV racing to races across the country. The result was a huge turnout across the board with nearly 300 entries for the weekend. It was quite a weekend with some awesome coverage from the NSDN cameras on the starting line as well as the exceptional photos from our good friends Gary & Michelle at Lonestar Graphics. This race was truly a highlight of the 2014 sand drag season. This NSDN Daily Race Coverage was presented by Pro Truck Nationals and Mid-West Coatings, Inc. The 42nd Anniversary Las Vegas Jeep Club Jamboree at the Dumont Dunes was the site of Race 2 of NSDN’s 2014 Daily Race Coverage season. The Dumont Dunes are located west of Las Vegas just across the border into California and provides a great setting for one of the few true throw back events in the sand drag world. The Las Vegas Jeep Club crew sets up a standard 300’ Sand Drag strip in the flat area of sand between the Dunes & the camping area. The dune sand smoothes right out and creates a nice racing surface. In today’s age of heavy dirt mega hook tracks, it’s a change to see a traditional sand track where racers show up to have fun & go head to head to see who is faster on this particular surface. The Sand Drags are on Sunday, while the weekend kicks off with the Saturday Hill Climb event making for a full weekend of action. This NSDN Daily Race Coverage was presented by the Las Vegas Jeep Club. National Sand Drag News is excited to introduce a new feature called “NSDN Rewind”. NSDN rewind will look back at the top stories and best media (photos & video) from each NSDN Daily Race Coverage event throughout the season. Over the next few weeks, all nine 2014 NSDN Daily Race Coverage events will be featured. We may even dig into the Archive and rewind to a few events from years past. Kick back and enjoy the NSDN Rewind. The 2014 NSDN Daily Race Coverage season kicked off at Dome Valley Raceway’s 5th Annual Top Fuel Shootout in Wellton, AZ. The popularity of this race continued to grow as this event attracted racers from as far away as Michigan, Missouri, Oklahoma, Texas, Oregon, and Washington. On the spectator side of things, it was refreshing to see a packed house for a sand drag race with standing room only on the house side. Another cool aspect was the enormous amount of sand drag racers and crew that came in just to enjoy the awesome January Arizona weather, including big groups from Hawaii and Michigan. It was also an honor to have Chris and Tera Graves from Max Cackle Photos at this event. This husband-wife duo from Texas brings their high quality photography to many asphalt races and made a stop at Dome Valley for the weekend on their west coast swing. Couple their great photography and our first weekend experimenting with some alternate camera options for video added up to NSDN once again raising the bar on sand drag racing coverage.